Use the economic concept of mispricing. to reduce your costs and free up more money for tuition. Mispricing occurs where sellers out number interested buyers for a particular item and where the item is able to be repriced lower based on that demand imbalance. The example usually comes up in relation to financial assets such as stocks, bonds, real estate and so on but applies to consumables as well. Charlie Munger executed this perfectly in the 2009 financial panic as described in an article in Bloomberg News. “By diving into stocks amid the market panic of 2009, Munger reaped millions in paper profits for Daily Journal. The investment gains, applauded by Buffett at Berkshire Hathaway’s annual meeting in May, have helped triple Daily Journal’s own share price. While Munger’s specific picks remain a mystery, a bet on Wells Fargo probably fueled the gains, according to shareholders who have heard Munger, 89, discuss the investments at the company’s annual meetings. “Here’s a guy who’s in his mid-80s at the time, sitting around with cash at the Daily Journal for a decade, and all of a sudden hits the bottom perfect,” says Steve Check, an investment manager based in Costa Mesa, Calif., who has attended the publisher’s meetings since 2004. The stock market profits were first disclosed in a May 2009 Daily Journal regulatory filing under the heading, “Liquidity and Capital Resources.” The section outlined how the publisher was sitting on about $9 million in gains after spending $15.5 million buying common shares over six months through March 31 of that year. The results kept getting better. By the end of September 2009, they had appreciated to almost $48 million. We use the mispricing approach for our own benefit on vehicle purchases. Early on we were striving to get the “best” instead of “good enough”. So we went with a popular vehicle at the time, a Toyota 4runner. These were popular and expensive and we used the only mispricing technique we knew about at the time which was flexibility. We purchased a new 4Runner from the left over trucks from the previous model year. The $45,000 vehicle only cost us $40,000. We didn’t get the color or exact features we wanted but we saved $5000. Woot! And that popularity was not unfounded. We had the car 14 years and it is still on the road today. For the next vehicle we got a little better at finding mispricing. The SUV boom was well under way and hatchbacks were unpopular and considered no longer cool. When we actually looked at the features they delivered enough mass and safety features to be safe, better gas mileage and all the functions of a full size SUV (that we needed). They were simply unpopular compared to the monster truck models of the day. 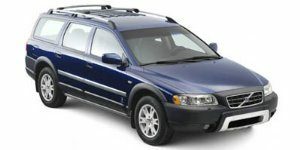 We combined the unpopular feature with the late model technique and got a Subaru Forester for $20,000. This was half the cost of the previous car purchase. Woot! $20,000 saved! These cars have since become popular again as more and more folks figured out the many benefits of these mid sized sport utility vehicles so mispricing affect is largely gone (on this model). We were in style again, at least for a while. For our most recent purchase we added analysis and patience to the mix and to further benefit from mispricing. Many cars are rated by reliability. And they if aren’t rated top tier for reliability they really suffer in the used car market. People don’t want to own something that wasn’t best for reliability when purchasing something used. But when you do the analysis a middle tier rated car is actually more reliable than cars of the past. The market (us buyers and sellers) occasionally misprices goods and servies and assigns artificially high prices to the best and artificially low prices to the runner ups. You can discover and use this mispricing if you conduct the analysis, are flexible, patient and willing to select something currently unpopular (not easy as it sounds) that meets your particular needs. Just do your homework to make sure it is actually mispriced and not low cost for a reason you care about. What about you? Have you benefited from temporary mispricing conditions?